(by the Editors, National Review) – The threat of a widespread Ebola outbreak in the United States is small; the object should be to keep it that way. Banning travel to and from West Africa — most importantly, Guinea, Liberia, and Sierra Leone, where Ebola is epidemic — is a commonsense measure that would help to keep the disease contained and the risk of its spread abroad low. Published Oct. 15, 2014 at National Review .com. Reprinted here Oct. 16, 2014 for educational purposes only. May not be reproduced on other websites without permission from National Review. 2. Do you think the Editors are understating the problem, going overboard with their suggestion, or have the right idea? Explain your answer. 3. The Centers for Disease Control and Prevention (CDC) is the U.S.’s national public health institute. It is a federal agency under the Department of Health and Human Services. Its main goal is to protect public health and safety through the control and prevention of disease, injury, and disability. 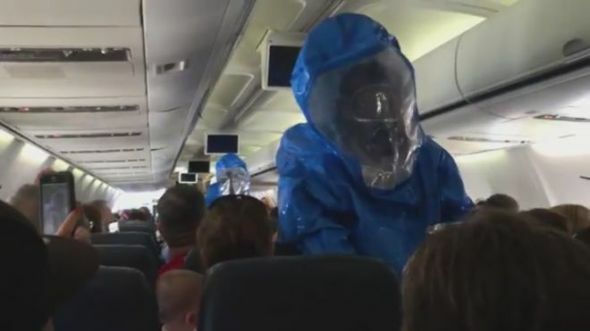 Should the CDCs goal of “prevention of disease” include banning flights from West Africa? Explain your answer.